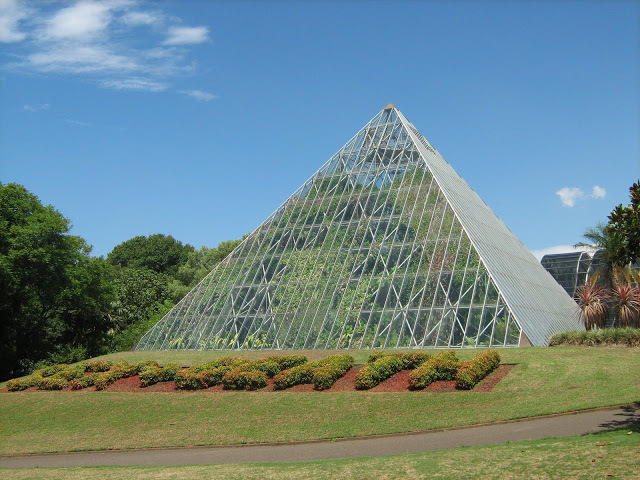 The Pyramid Glasshouse at the Royal Botanic Gardens houses a display of tropical plants. The glasshouse opened in 1972 and is part of the Sydney Tropical Centre which also features a glass Arc. An underground foyer links the Pyramid to the Arc. Royal Botanic Gardens , on Wikipedia.